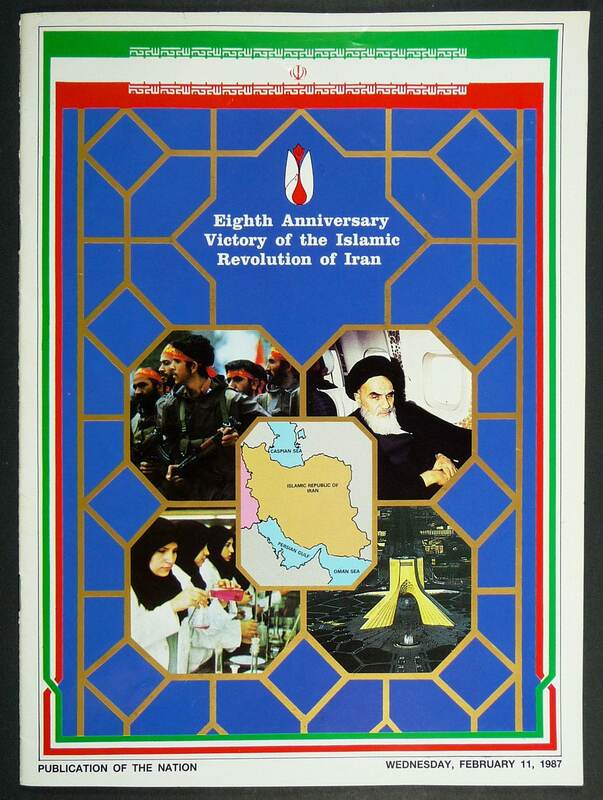 Description: A 16 page supplement to the Business Review, published for the 8th anniversary of the victory of the Iranian Revolution, February 11, 1987. 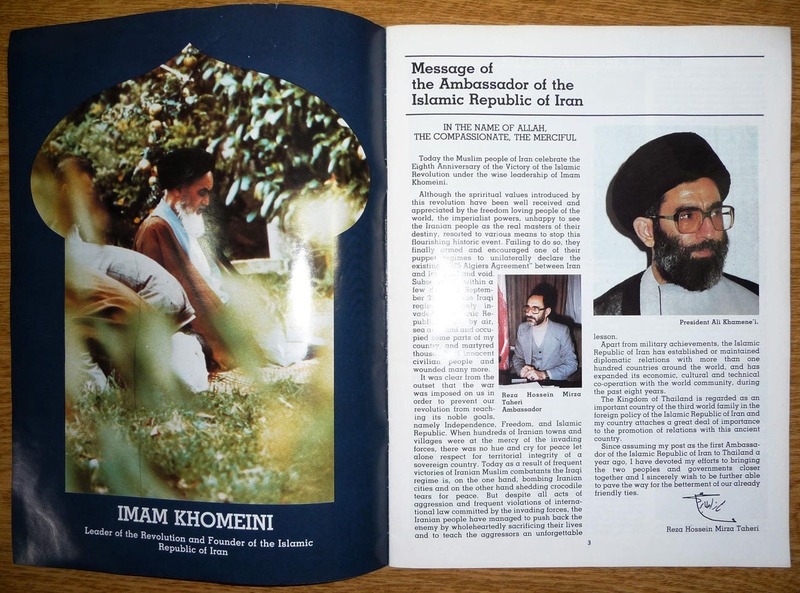 Includes a one page message from the Iranian Ambassador Reza Hossein Mizra Taheri with a portrait of President Ali Khamene'i. Several portraits of the Imam Khomeini are also featured. 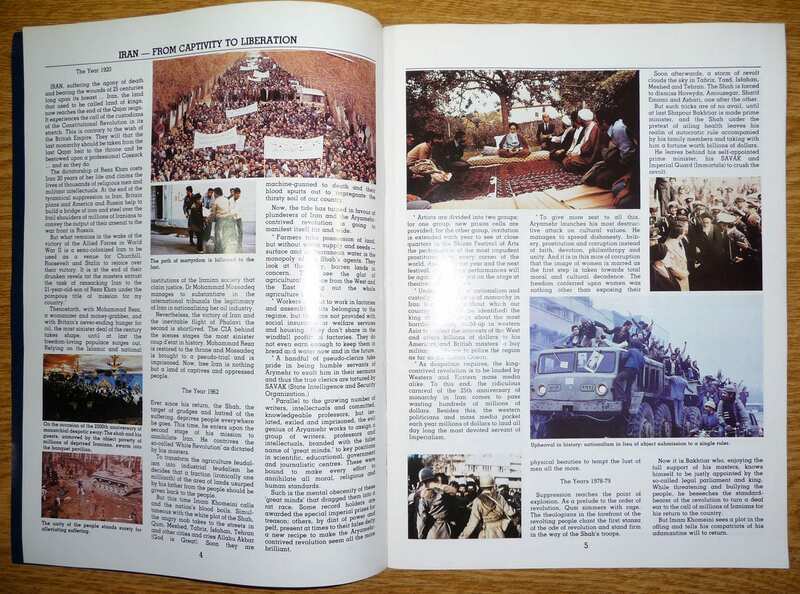 Generally contains chamber of commerce-type information on Iran's modern history, society, education, industry, agriculture, economy, as well as commentary on the ongoing war with Iraq. 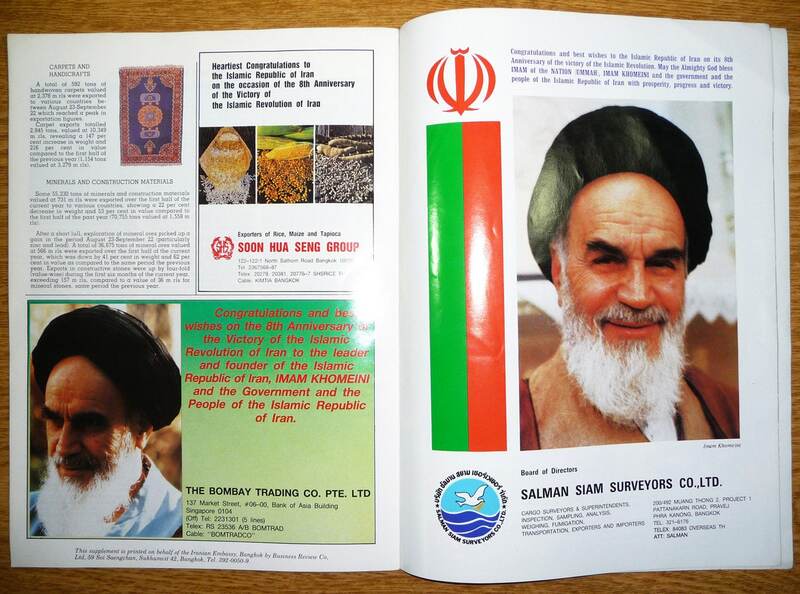 The last six pages are filled with illustrated advertisements from Thai companies offering congratulations to Iran. Clean. Light signs of handling. English language. Publisher: Iranian Embassy, Bangkok / Business Review Co. Size: 21.5 x 29 cm.